Saxophoniste et chanteur Rhythm 'n' Blues US né le 17 Avril 1924 à Gary (Indiana). 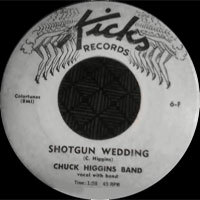 Chuck Higgins est décédé le 14 Septembre 1999. 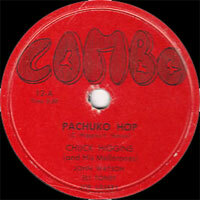 Saxophonist Chuck Higgins earned R&B fame for his composition "Pachuko Hop," which remains a perennial favorite among Latino fans, but didn't gain enough general R&B acclaim to chart in the early '50s. Higgins also played trombone and trumpet. He moved from his native Gary to Los Angeles in 1940 as a teen. 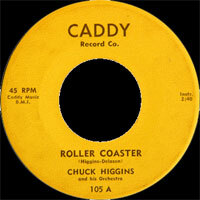 Higgins played trumpet in his high-school band and later attended the Los Angeles Conservatory. 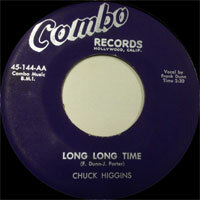 While there, Higgins started a band with pianist Frank Dunn and saxophonist Johnny Parker, among others. 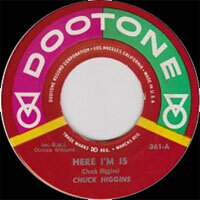 Higgins later became the band's saxophonist and wrote "Pachuko Hop." Its furious pace, roaring sax solo, and raw sound, plus the inclusion of the term "Pachuko," which was slang for a Mexican-American dressed in baggy pants with a key chain, made the song a '50s anthem for area Latinos. 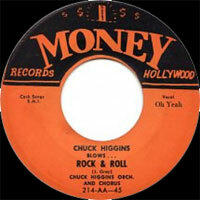 The B-side, "Motorhead Baby," was later the inspiration for Frank Zappa sideman James "Motorhead" Sherwood and the heavy metal band Motörhead. 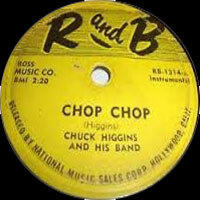 Higgins played dates in Los Angeles with everyone from Charlie Parker to The Orioles, and his band at one point included Johnny "Guitar" Watson. 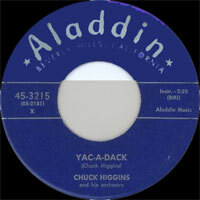 Although none of Higgins' many singles for Aladdin, Caddy, Lucky, Specialty, or Dootone ever earned national acclaim, he was an extremely popular regional attraction through the '50s and into the early '60s, when he retired from performing to become a music teacher at local high schools and a college. 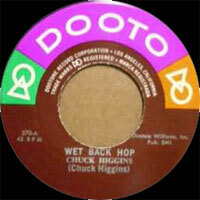 A comeback faltered in the mid-'70s, when Higgins tried to update his sound by going disco. He returned to honking R&B in the late '70s and toured England in the mid-'80s, while performing once again in Los Angeles clubs. 1952 SP COMBO 45-14 (US) . 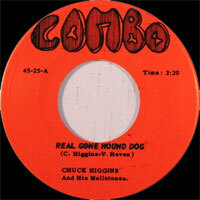 1953 78 t. COMBO 38 (US) . 1954 SP SPECIALTY 532 (US) . 1954 SP SPECIALTY 533 (US) . 1954 SP SPECIALTY 539 (US) . 1954 SP ALADDIN 3215 (US) . 1954 SP ALADDIN 3224 (US) . 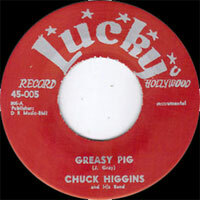 1954 SP RECORDED IN HOLLYWOOD 399 (US) . 1955 SP SPECIALTY 541 (US) . 1955 SP KICKS 6 (US) . 1956 SP MONEY 214-45 (US) . 1957 SP CADDY 105 (US) . 1957 SP CADDY 108 (US) . 1958 SP COMBO 140 (US) . 1958 SP COMBO 144 (US) . 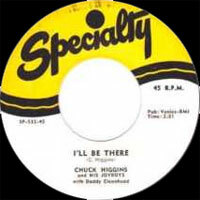 1965 SP OLDIES 45 OL 312 (US) .